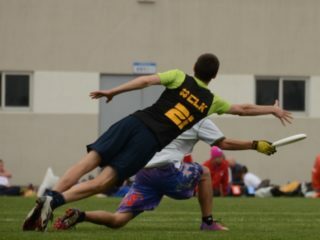 I was studying video of the Major League Ultimate 2014 semi-final, and something felt very wrong. It was a tight game between Boston and D.C., I was perplexed by the way Boston played their defense. They were backing the D.C. cutters, to the point that the Current could have walked in for the disc at almost any time, if they wanted it. At a loss, I shrugged it off as uncharacteristically bad defense from a top team. After all, I was watching the video for an upcoming final against the Current, and I turned my attention back to them. D.C. was applying loose, mostly no-huck marks. They were running a lot of plays through a handful of throwers and receivers. I thought about my match-up prospects. I blindly took my first step into a trap. Six-time UPA champion Jon Gewirtz once famously pronounced, “Make them beat you with their weakness. If they do, you make them do it again, because it’s their f—– weakness!” Such unarguably good advice, alas, offers no help on the key ingredient: finding the weaknesses. 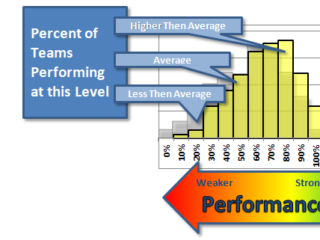 The truth is that divining weaknesses and pressure points is hard, especially at the upper echelons of competition. And so we often attack each others’ strengths, on the hopeful assumption that if we can defeat – or at least blunt – those strengths, then weakness will reveal itself. But in hindsight, the miscarriage in logic is plain as day: playing to defend against your enemy’s strong suit is no guarantee that they will be forced to lead with their weak. A team’s strength is often conspicuous, and first to reveal itself upon observation. When you watch a team’s offense, you will see them generally trying to do what they are good at. The words leap to your tongue when you describe a team according to their strengths: they’re fast, they give-and-go, they cover dumps closely, or they run through a few key players…. These are worth knowing, because you should always know what your enemy wants to do first. Still, they paint an incomplete picture. Knowing their strengths, you won’t be taken by surprise, but you can still be taken. The one-man-show phenomenon is another example of commonly misplaced focus. 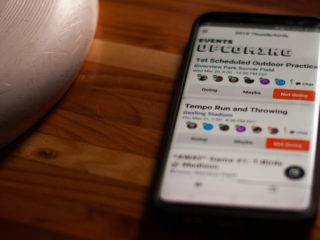 If a stark minority of players is running the game, attentions draw to them, and many teams try to construct a strategy around neutralizing those players. You will hear captains offer up plans for double coverage or special match-ups. And these will help, probably, but rest assured that these studs have faced all these tactics before. You may slow them down, and if you happen to be strong enough in this suit, you might even overpower them enough to win, but you will not have not surprised them. You’re still playing their game. In the example of a team known for their deep game, it is a common prescription to challenge their offense with straight-up marks, maybe to back their cutters and to force them under. The reasoning is clear, but who is to say that their system will fall apart under these or other best-laid plans? What if they practice against no-huck marks all the time? What if the hucks come out only after successful in-cuts on the sides, which you’ve now left unprotected when backing the strikers? What if the handlers just dribble the disc wide, and their actual strength is to launch quick shots from positions that no mark will reach in time? Our mistake is the assumption that a team’s “strength” is one-dimensional. We haven’t discussed their actual weaknesses – we’ve still only considered their strengths. Obsessed with one component to their game, we gnaw away at it with all the wrong and well-intended countermeasures, convinced of the power of simple recipes. All the while, we wholly missed the forest for the trees. Ten minutes into the game against the Current, and I groaned. Boston’s tactics suddenly made more sense, and the writing was on the wall. The Current’s long game was impressive, both on offense and defense, and they were schooling us in both directions. They were taking fearless shots, often before a marker was within arm length, and there was a well-timed strike ready every time. There was just one stand-out peculiarity that I now noticed – that I had never thought of, in fact, before now. Keane Knapp’s mark was oddly effective, and he earned us back two turnovers out of dump attempts. To glean information about a team’s vulnerabilities, you will have to delve one level deeper. Weaknesses are well disguised among elite teams, and to glean some hints about them, you will have to think in a world of opposites. Watching the offense, for example, will show you what they like to do; however, to uncover what they don’t like to do, study their defense. Countless practices pitching D-line versus O-line have left an indelible imprint – the defense almost always reveals what the offense must practice against. Whatever the defense is using, it is something the offense is accustomed to seeing. If it is a zone, then it is a zone that the offense has seen and solved. If it is a straight-up mark, then it is a mark that the offense has defeated a hundred times before. What the defense is using reveals just another aspect of the offense’s strengths. Pay more attention to what the defense isn’t doing. If the defense leaves dumps uncontested, the offense is accustomed to easy dumps. If the defense consistently wraps around to take away backfield dumps, then the offense is accustomed to uncontested upfield throws. If their zones invest a lot of people on the handlers, then their cutters are accustomed to outnumbering the mids. If the mids are closely covered, then the handlers are accustomed to having to move the disc themselves. Look for the enemy’s comfort zone, because this reveals what they practice. Chances are good they have not adequately practiced the logical opposite. 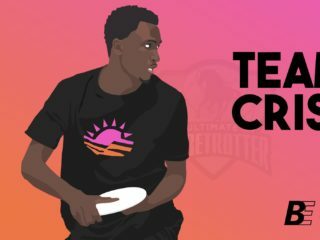 If your opponent likes to give the disc to a certain strong player; don’t spend your time obsessing over that player’s strengths. Instead, look at the support staff; and study them for habits. 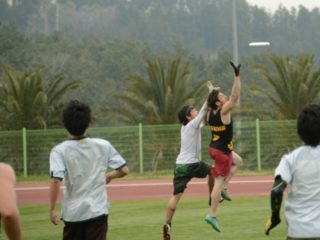 Think about how to force the disc into one of those players’ hands, and force that one to do something he does not practice. Focus on redirecting the offense through a weakness. Conversely, the same is true of the defense. Whatever the offense’s habits; the defense will be well practiced against them. A team that runs isolations on offense will have a defense prepared for isolations. A team that likes to huck from the handlers will expect hucks to come from handlers. They will have marks and poach assistance on-call by force of habit. Running an offense similar to another team’s will not catch the defense off-guard. In fairness, it may still succeed (you can always overpower your enemy) but not because it took advantage of their weakness. The disc was in Sean Keegan’s hands, momentarily pinned down by a defensive formation that clogged the open, near and deep. I was waiting for my moment, watching his pivot now. He turned toward his dump option, and I leapt back to cut off the dump throw as fast as I could. Peter Yu pounced on the other side. He looked puzzled, and pivoted again; I sold out, throwing myself in the way of the dump, who was unsure of where to go. “Oh, sh…” he muttered. A team that always practices against straight, loose marks almost never sees a contested dump. I was kicking myself, because it was the card I should have been playing from the very start.